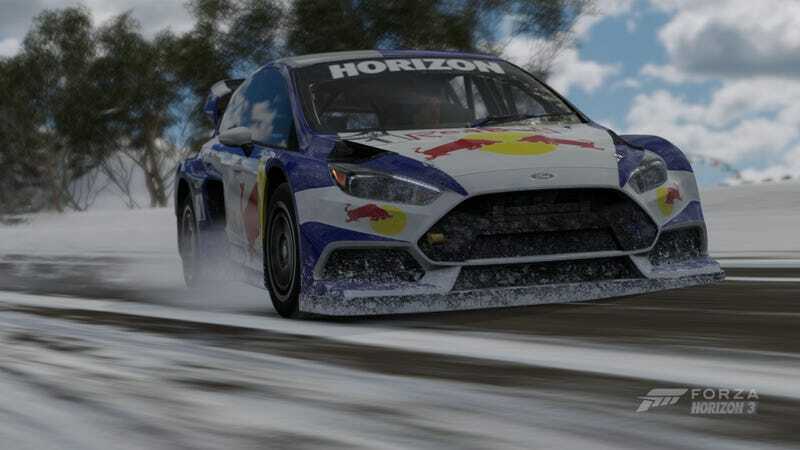 The new Blizzard Mountain cars look great in the Red Bull-snow combo. The real RX car doesn’t actually have headlights, but a rally version would. The included RJ Anderson trophy truck is also loads of fun, as well as the snow-park-turned-rallycross-course.